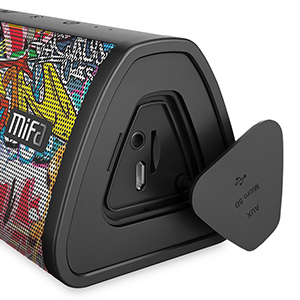 As a 10-year designer and manufacturer of audio products, MIFA has established a worldwide offline distribution system. Our professional R&D team is always focusing on developing the most cutting-edge audio technology. Meanwhile, the specialized sales team keeps providing premium customer experience at a competitive price. 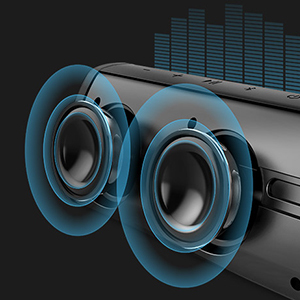 The Bluetooth 4.2 speaker features dual 5 Watt drivers to deliver powerful stereo sound and enhanced rich bass. It provides more options with an AUX jack and a Micro-SD card slot. You can just enjoy the music whether in the shower or during outdoor adventures like climbing or camping for its IP45 dust-proof, water-resistant and shockproof design. 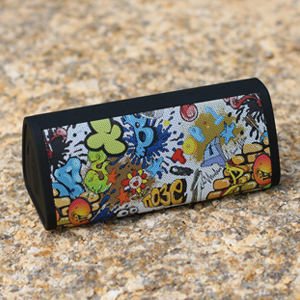 The design of ​random while still similar graffiti makes your speaker the unique one. You can enjoy true wireless stereo by connecting two A10 speakers via Bluetooth. 1. Turn on two A10 speakers and make sure no device connects with either of them. Long press one speaker's Play/Pause button and then they will pair with each other automatically. 2. 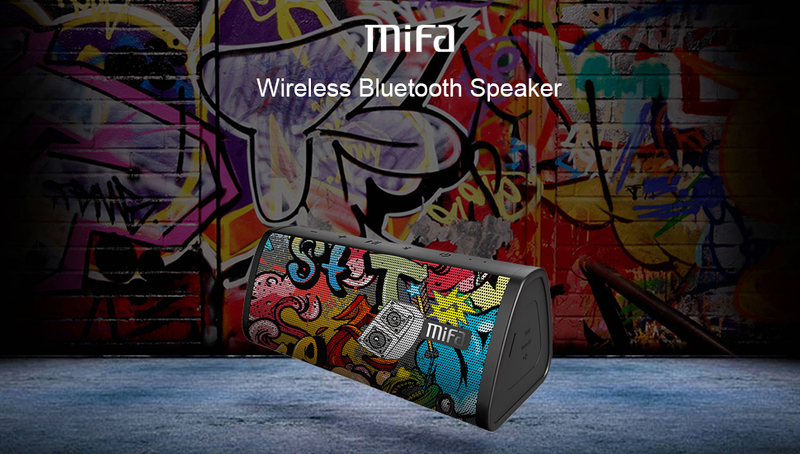 Select Mifa_A10 in the Bluetooth settings menu of the Bluetooth device to complete the connection. 3. ​Long press either speaker's Play/Pause button to stop the TWS connection. *For more information about the TWS function, please download the updated manual on the Product information table below. Powered by a built-in 2200 mAh rechargeable Li-ion battery, this outdoor speaker offers up to 16 hours of continuous playtime on a full charge. Thanks to the IP45 dust-proof and water-resistant design, you can use it in the shower or take it outside without worrying about the rain or spills anymore. 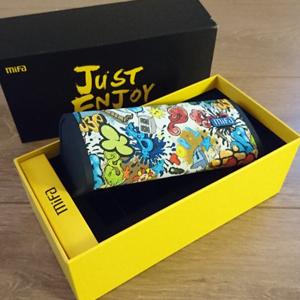 The portable speaker allows you to enjoy the music from the garden to the beach, from the sunny morning to the rainy night. 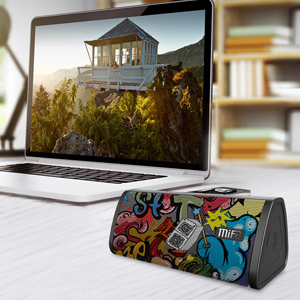 With the unique Class-G double charge pump amplifiers and DSP 3D stereo chip, the wireless speaker succeeds in enhancing the audio streaming to break through the limitation of the box size.